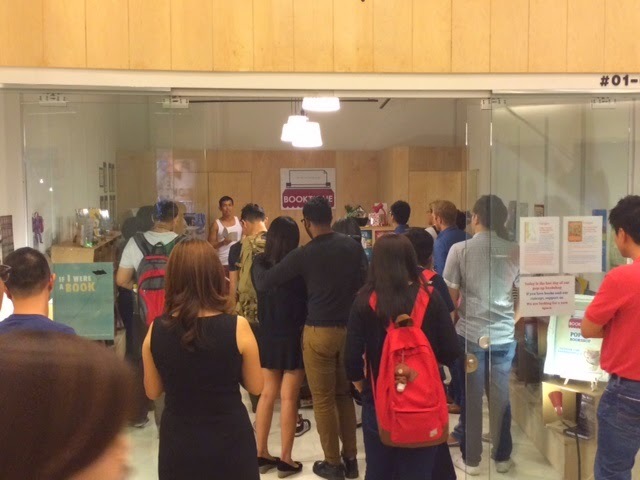 Waiting for a friend, I walked into The Cathay, in Singapore, and stumbled upon Booktique, the pop-up bookstore owned and run by the inimitable Anthony Koh Waugh, who promptly invited me to read at the closing party of his present shop. So I did last night, and sold six more copies of my Pillow Book. Zed Yeo read next from his collection of hybrid writing, Unapologetically Insane Tales, the first Singapore book to be produced through crowdfunding. Zed was a very engaging storyteller. It was fun to see shoppers popping into the shop to hear me and Zed read, and to speak with many writers unfamiliar to me. Anthony is a great supporter of writers. After a well-deserved break, he will set up shop in another location. Do watch out for the next iteration of Booktique, the writers' bookshop. Thanks, everyone, for coming out to the book launch on Wednesday. It was lovely to see so many familiar faces, and quite a few new ones too. Thank you, William Phuan and Aliah Ali from The Arts House, for hosting the event in such a professional and helpful manner. Thank you, my publishers Matthew Chozick, Keisuke Tsubono and Midori Ohmuro, for flying all the way from Tokyo to lend a touch of glamor to the event. Thank you, Keisuke, for reading so beautifully in Japanese. Thank you, Chong Li-Chuan, for your musical piece, which touches the surface and sounds the depths, an aim shared by my little book. Thank you, my parents Robert Koh and Susan Cheong, for coming to the event, and for getting the Bengawan Solo kueh-kueh (they were much heavier than we expected). Thank you, my love Guy Humphrey, for your support and encouragement. You always step in when help is needed. I read this extract last night for us. Happy birthday, dear. 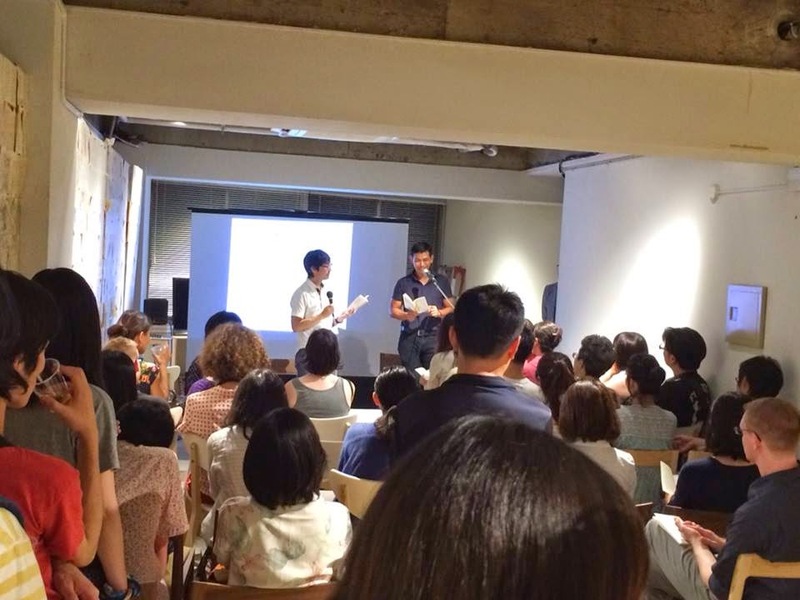 Of all the readings that I've done, yesterday's book launch at Tokyo's Editory stands out for its combination of charm, warmth and sincerity. It was a special delight to meet Mariko Hirasawa, who illustrated my Pillow Book. Mariko, thank you for expressing so well the feelings that you received from the work. You spoke with wonderful animation during the interview. Matthew Chozick, a writer cannot ask for a better publisher. You are always so respectful and enthusiastic. Midori, you touched me when you remembered "Kimiko" from the book, having read the collection three times. Keisuke, I look forward to reading again with you at the launch in Singapore on August 13, and in New York in November. Thank you for introducing me to your loved ones and friends. I am honored to call you my friends.